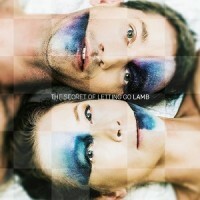 ‘The Secret of Letting Go’ is Lamb's 7th studio album, written and recorded in the space of a year between their home-studio in England’s South Downs and in India and Ibiza. Continuing to push the sonic envelope, title track, ‘The Secret of Letting Go’ was written in the moment the band decided they were splitting up and holds the corner for their endless experimentalism. Death And VanillaAre You A Dreamer?